Congrats on a fine fork ,Treekiller. You should see TreeKiller's buck this year! 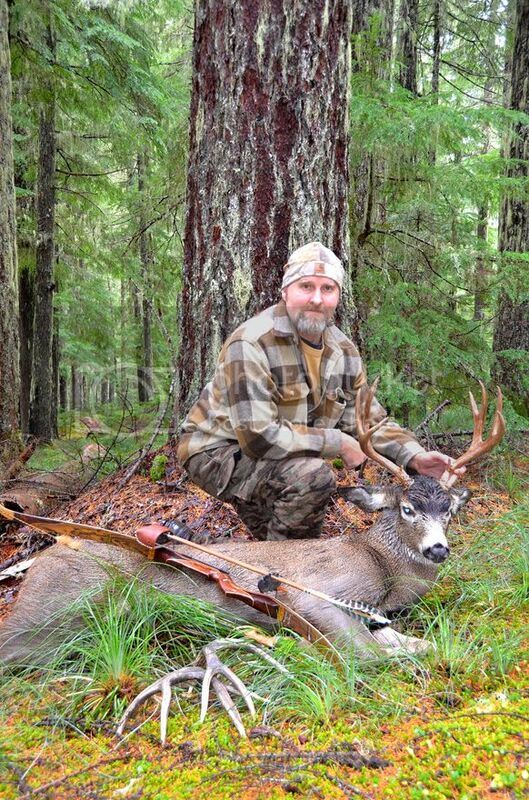 "stickbows, putting the arch back in archery"
I hope some other stickbow hunters tagged some late season Blacktail's this year. This is the buck I killed two days before Thanksgiving last month. Beautiful bucks Ron! You sure know how to get them, congrats! Glad to see you're still knocking them down Ron! Congrats. "TGMM" Family of the Bow. "I'm a Bowaholic on the road to recovery! Just kidding, I'm on the road to the archery shop!"